im not entirely sure but what do you guys think about this one? it's not nearly a common enough item to even put in the end game gear section. I'm using it, and it's really good for this build. 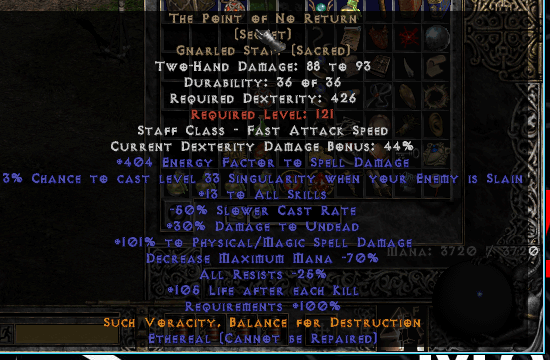 Yeah this staff looks to be really usefull for this build. About 350% phys/magic spell dmg. Did you consider the cap? Looks like you could swith some EF to something else. I will Look for my energy tonorrow. Winrich wrote: So much EF. how much is the cap for overall EF ?